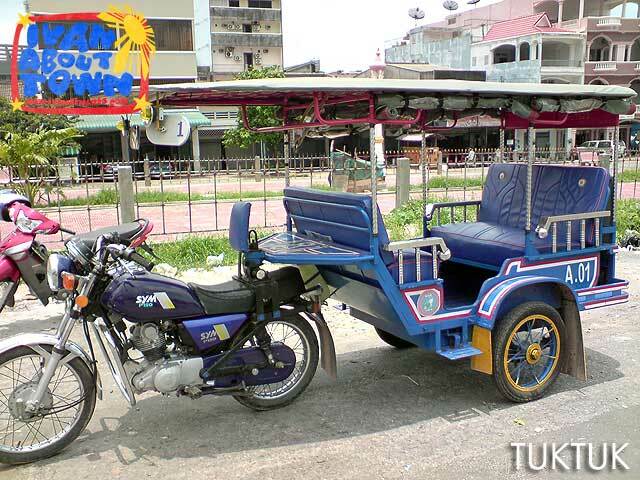 Cambodia is more than Angkor Wat. Beyond the fabled temples of Angkor is a sunny getaway called Sihanoukville, Cambodia's most popular beach resort town, south of the capital Phnom Penh. 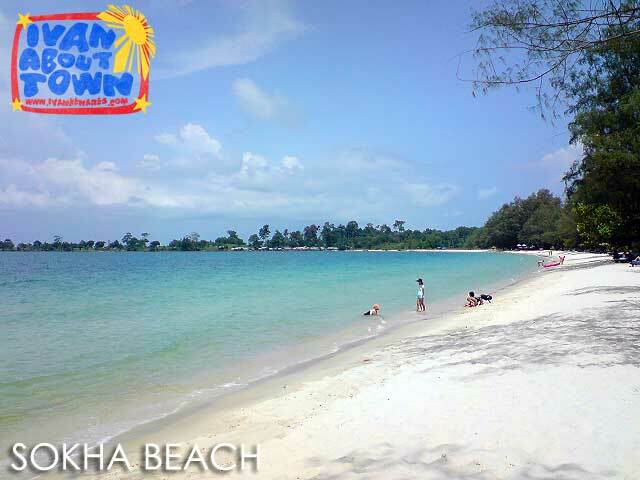 There are a lot of beaches in Sihanoukville and a wide range of accommodation choices for everyone. Victory Beach is the backpackers' area. That's where you'll find many of the budget accommodation. 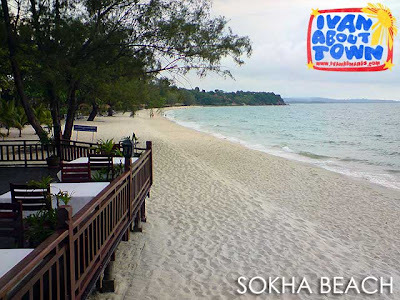 Sokha Beach is said to be the best beach in Sihanoukville. It used to be a public beach but is now exclusive to the Sokha Beach Resort where we stayed during our visit to Sihanoukville. The other good beach after Sokha is Ochheuteal Beach which is conveniently located near the accommodation at Serendipity Beach. If those beaches are crowded, you can also try Independence Beach. Five kilometers from Ochheuteal is Otres Beach where there would be even less people. We had traveled a great distance to get to Cambodia from Vietnam. It turned out, everyone was on their way back to Phnom Penh after celebrating the Khmer New Year holidays in the provinces or in Saigon. So we found ourselves joining the mad rush back and found ourselves over four hours delayed with a six hour trip extended to ten! After staying a night in Phnom Penh, we got on the first bus to Sihanoukville. The ride was a little over four hours. And it took us through the vast Cambodian countryside. At the Sihanoukville bus station, finding a ride to the Sokha Beach was not a problem since tuktuks and motorcycles were readily available. The impressive Khmer façade of the luxurious main lobby greeted us as our tuktuk entered the vast grounds of the Sokha Beach Resort. As soon as we settled down in our beach view rooms, we proceeded to the Champa Lounge for lunch. The highlight of the resort is its 1.5 kilometer private white sand beach. The rest of the afternoon was spent taking a nap at the beach. Later in the evening, we were off to Lemongrass, the resort’s beach side restaurant, for dinner. The Lemongrass was a perfect place to cap the day. As it slowly got dark, the enchanting lights of the restaurant took center stage with the sea breeze relaxing our senses even more. They had both outdoor and indoor dining areas. And nothing beats a night under the stars for a candle-lit dinner by the beach. The next day, I could have spent the morning island-hopping since the beaches in the nearby islands are fantastic! You can easily arrange boat trips through your guesthouses or hotels. But I was not really feeling well because of some street food I must have eaten. We were back on the road by lunch since we had to catch a 6 p.m. flight in Phnom Penh back to Ho Chi Minh City. Our fingers were crossed the whole time hoping that we would arrive at the airport just in time for the flight. And it was a good thing the bus from Sihanoukville conveniently passes by the airport. And we got there with a lot of time to spare. ganda nga ng beach. Hope we could include this on our trip and get a chance to see the countryside too. Too bad I did not get to explore the other beaches. Blame it on street food! Haha! nice post Ivan. i stayed in Phnom Penh when i was there so both Siem Reap and Sihanoukville are in my soon-to-visit list for net year.i'll check back the pics when i get back to manila coz my internet here in my hometown is slow..